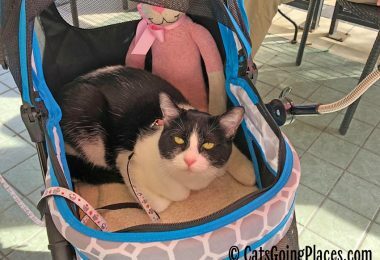 When I received the Gen7 Commuter pet carrier & car seat to review, I wasn’t sure what to think about its size.  The Gen7Pets website does state it is airline approved, though they suggest checking with your airline just to be sure. I don’t know if I will ever fly with Chanel, but it is nice to have a carrier with that option. The first thing I noticed when I got it out of the box…very flat…was the u shaped bars on each end. Of course reading directions is for others, so I forged ahead attempting to figure it out. I ran my hand along the outside edges of the carrier and realized what was going on with the bars. 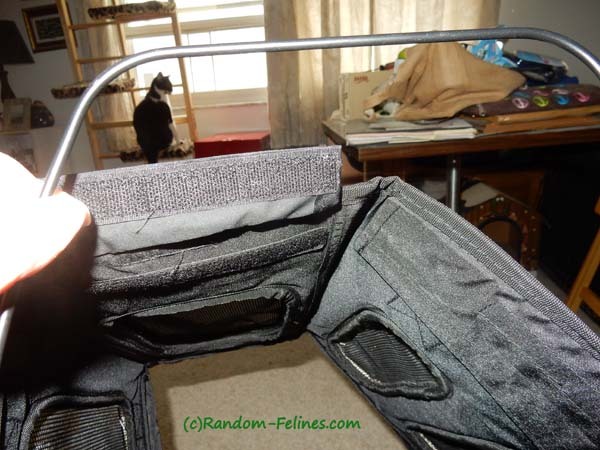 There are velcro flaps that run up each edge and across the top of each end of the carrier. The bars pull up and hide under those flaps. And thus the carrier doesn’t fall over or collapse. I was impressed. I haven’t seen anything like that before and it was an interesting concept. That said, I don’t know if it will cause the carrier to be looked at more carefully by the TSA, but I like the added strength to the design. The Gen7 company also states that they have a special design for riding in the car. The shoulder strap goes over the headrest and the carrier then rests against the car seat. There are also latches on the carrier to keep the seat belt in place as the carrier is strapped in to the car. 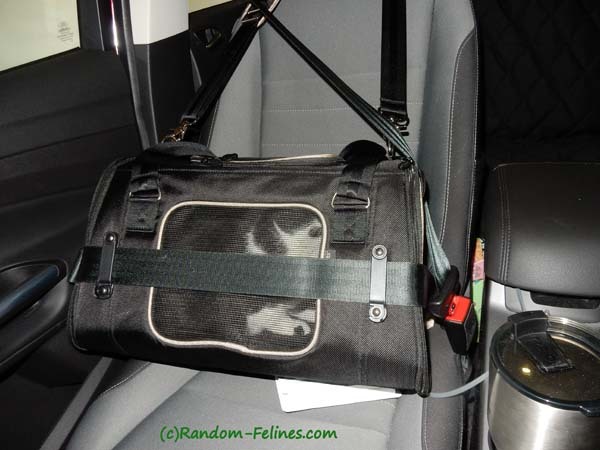 It is a nice safety feature to keep the carrier from bouncing around in the car. While I don’t always use the shoulder strap, I do use the latches with the seat belt. 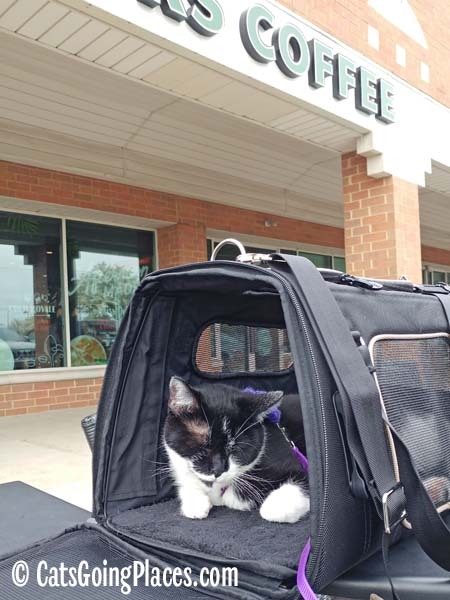 The Gen7 Commuter carrier has also been crash test certified for pets up to 20 pounds. I wasn’t sure how Chanel would do with another new carrier, but she climbed right into this one when I placed it on the floor with the one flap open. It has become the carrier of choice for traveling around town, as it has the shoulder strap and doesn’t bounce against my hip as I carry her. 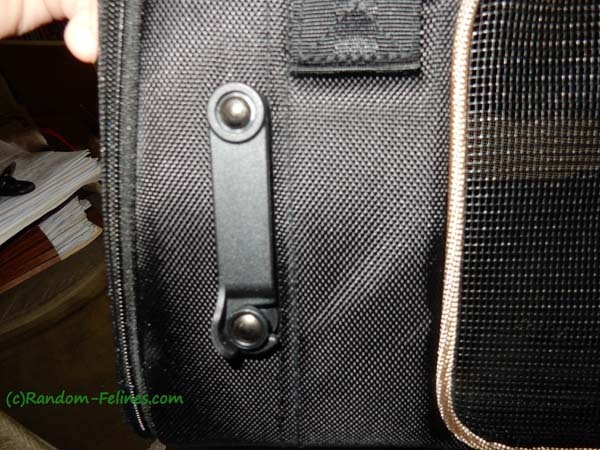 Another nice feature is there is a flap that can be unzipped and opened on top of the carrier. 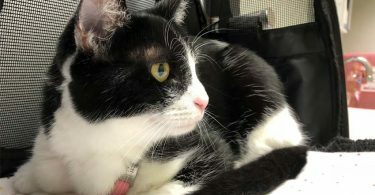 This allows me contact with her without allowing her out of the carrier. Or, in her case, a good way to give her more treats as we travel. Here is my only complaint…it has NO pockets. I can’t carry anything with this unless it is a separate bag. 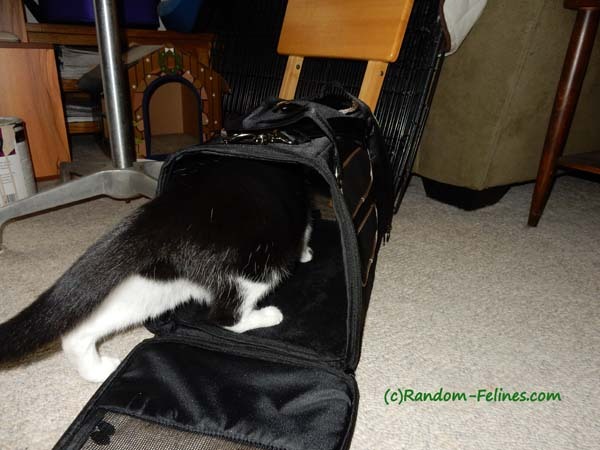 I do have her bag of stuff that I have by the door and grab when we go out, but it would be nice if the carrier at least had a pocket where I could put treats and business cards – and a plane ticket if we were flying. Like women’s clothing, all good things should have pockets. 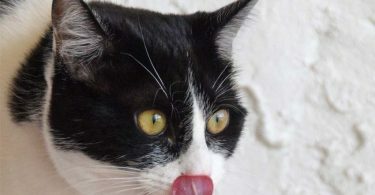 Despite that, I have to give it 2 paws up. Chanel likes being in it, it is easy to carry and it is safe. 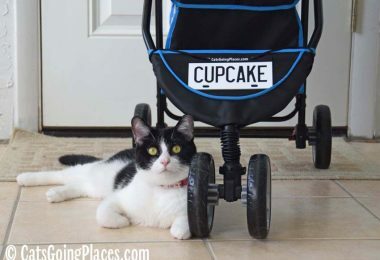 You can purchase the Gen7 Commuter pet carrier & car seat from Amazon (affiliate link). 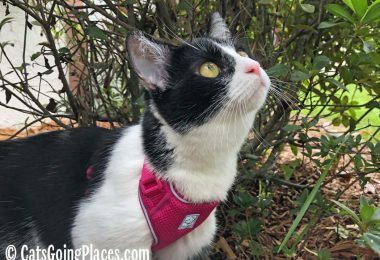 For fashion-forward cats, it also comes in sporty red! 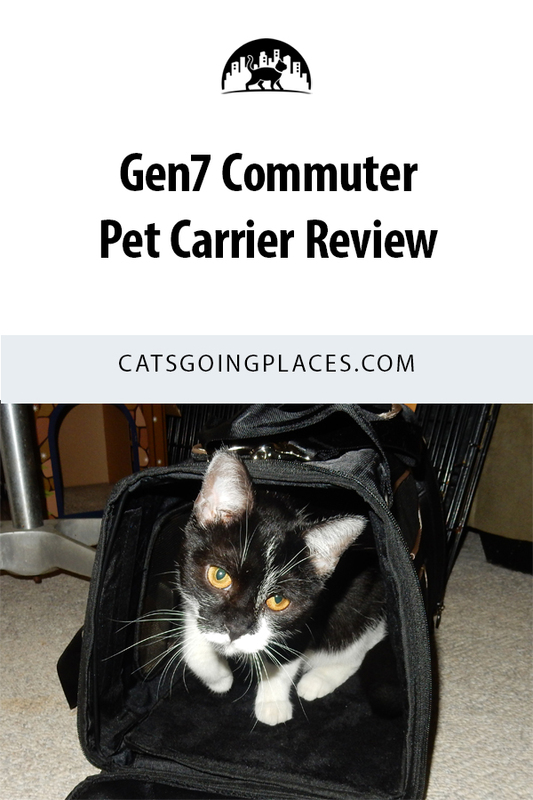 FTC Disclosure: I received our Gen7Pets Gen7 Commuter carrier at no charge. This didn’t influence what I said about the product. All opinions in this review are my own and not influenced by any outsider. I receive no additional benefits for talking about the products or company. 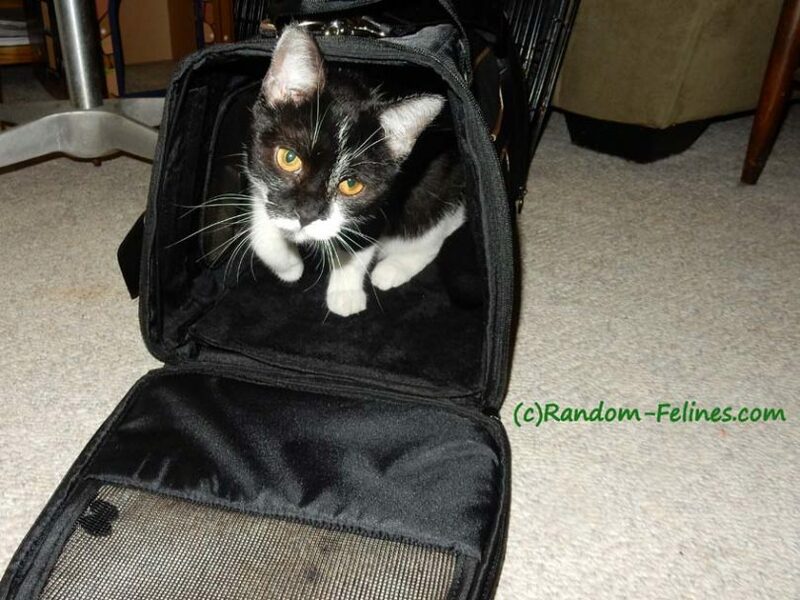 This carrier sounds great for us kitties, but my human might complain too about the lack of pockets. Even our tiny Sherpa carrier has a pocket for my treats and such.